I am a 30-something unmarried woman. Because of the sexual abuse I suffered at a very young age from a close male relative and family friends (individually, not as a group), all men who are 20-30 years older than me give me the creeps. I don't even want to have contact with men who aren't quite so much older if their appearance suggests that they might be. One of the abusers who lived in my neighborhood was always shooting me with his video camera when he came to our house. Everyone knew that shooting video was his favorite hobby and that his camera technique was of a professional level, so no one thought this activity was unusual. I don't know what he used the videos for. My other family members, who are a source of emotional support for me, have good relations with these individuals, so I cannot discuss this with them. It is something I will carry to my grave. But the memories do not fade with time. I don't want to have children of my own, for fear that they might experience something like this. I do worry about the children of my brothers and sisters however. I wonder if I should tell them about this so that perhaps they can protect their children. When I am not in good condition, it is as though I become another person that tortures me by telling me, "You should die now." I have been diagnosed with mild depression at the hospital when I was having suicidal thoughts, so I can imagine how painful serious cases must be. I think I was a cheerful character by nature before all this and my emotional dependency disgusts me. Sometimes I am afraid of myself because I can't stop fantasizing about attacking my abusers and beating them to a bloody pulp. I can't look ahead more than three years and I feel hopeless and heavy. I am an office worker without any particular skills and my company is slowly failing. I have all kinds of fears. I don't have any dreams about my future, but I would like to keep my health so that when I die I can donate my organs and help someone else at last. I recently started taking business classes. I find that studying is a little bit fun because it reminds me of the days before I developed my depression. I would like to conquer the memory of my abuse because I feel so hard and want to escape my spiral of depression. If you have any suggestions, please tell me. I wish I could tell you step by step how to get over your painful memories and end your depression. I don't think it is as simple as that however. You were treated for depression and presumably you told your doctors about the traumas of your childhood. From a medical or psychiatric point of view, they are much better qualified than I to tell you what steps to take to move forward with your life. It is probably much healthier for you to discuss your past abuse and the problems that have resulted from it with a professional, a trusted friend, or others with similar stories to tell than for you to keep it inside yourself. Your feelings of hopelessness are a symptom of your depression, which is an on-going condition that generally has to be managed rather than cured like a disease. Millions suffer from it, so you can at least take solace in the fact that you're not alone. The memories of your past will always be with you. I think that the most important thing is not to allow your childhood memories to control or limit your present existence or determine the course of your future. I think that what you are doing already is a step in the right direction. Focusing on the future by taking classes that might help you should your company finally fail is a positive action. You'd do yourself a big favor by continuing to focus on the future rather than dwelling in the past. Nothing can be done to right the wrongs that were visited upon you in childhood. You'll only make trouble for yourself by acting on your fantasies and attacking your abusers. If you are determined not to allow the facts of your victimization to become known to your family, then I don't know of any way to get back at your victimizers that would not cause you more trouble. I don't think that you should allow anyone to get away with taking advantage of you to the extent that they have caused you harm. By remaining silent you are doing just that. Shaming them by exposing their secrets to the light of day, thereby forcing them to account for their activities, is the best way I can think of to deal with your desire for revenge. However, by doing this you would also be making their activities known to your family which is certain to cause a rift in either their relationships with your abusers or with you. No doubt you have your reasons for being unwilling to take that route, so I can't insist that you to do that. Still I do think you should reconsider it. By all means you must tell your brothers and sisters in order to warn them of the potential dangers to their children. Think of all the pain this has caused you and ask yourself if you would want your niece(s) to have to live with the same pain. You must do what is necessary to prevent any harm coming to them. Of course you must know that an entire generation of men can't be blamed for the actions of a few members of that generation. I don't see how you can avoid contact with an entire group of men simply because they are, or appear to be, part of a certain age group. You don't have to become involved with men of that age, but you shouldn't avoid necessary social interaction with them, particularly since a lot of men of that age are to be found in positions of authority and it is to your advantage to successfully interact with them as an adult. You have to learn to focus the blame where it belongs: on the individuals who victimized you. Some memories stay with us, some memories vanish. We don't consciously pick and choose which memories we retain. It is important to remember what happened to you, but there is nothing to be gained by obsessing over those incidents from the distant past. You have to resolve the conflicts within yourself that have been created by the experiences of your past. 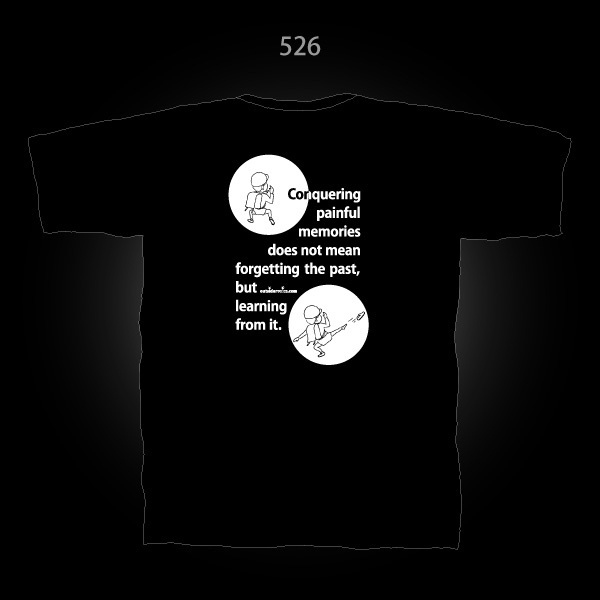 Conquering your painful memories does not mean forgetting the past, but learning from it. Because you were a victim when you were young does not mean that you must continue to be a victim through your adulthood. Your destiny lies in the future, not the past. The course of your future life is not determined by actions that took place in the past, but by actions you choose to take now, in the present. Continue to take positive steps to better yourself and your place in life, even if you don't know where you want to end up. Reach out to help others who are in pain or in need in some tangible way so that they too can have hope for a better future. Many other children have had similar experiences. Make yourself an example to them of someone who can overcome the trauma inflicted by selfish, thoughtless, exploitative elders by becoming a healthy, thoughtful and sympathetic adult.